Description: The P105 is a high pressure transducer designed to measure static and dynamic pressure under a wide variety of conditions, including hostile environments. The mechanical design and a stainless steel diaphragm allow the sensor to withstand most aggressive liquids. The sensing element is fitted with a temperature compensated Wheatstone bridge equipped with thin strain gauges. With the P105-A1/A2 Series Measurement-Specialties offers a high level output model. With many years of experience as a designer and manufacturer of sensors, Measurement Specialties, Inc. has the expertise to customize and/or design sensors for specific uses and testing environments. To meet your needs we also offer complete turnkey systems. Our conditioning electronics can power the sensor, amplify the electronic signal, and display the data digitally. A turnkey measurement system arrives with matched components, formatted, calibrated and ready for your immediate use. Without Damage 1.5 x F.S or max. 5000bar. Combined Non-Linearity & Hysteresis ±0.3% F.S. F.S. Output 6 1.5 mV/V 4 V ±5% F.S. 5 V ±5% F.S. Zero Offset 6 <± 5% F.S. 0.5 V ±5% F.S. 0 V ±5% F.S. 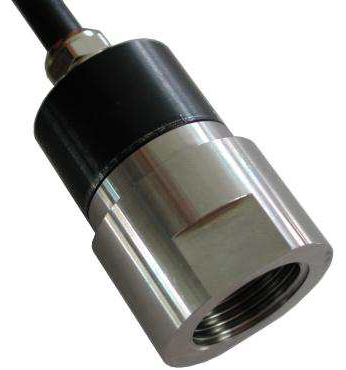 Make Enquiry For Product "P105 Series Pressure Transducer"